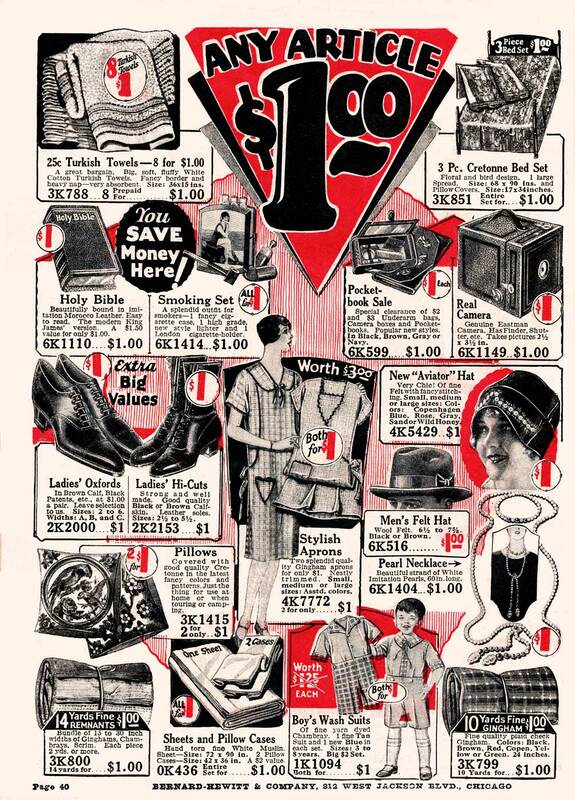 What could you buy for a buck in 1928? 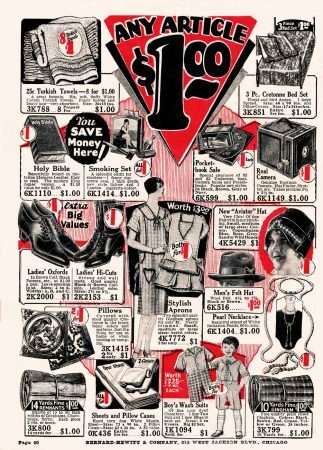 Certainly the product options were a lot different that you'd find in a dollar store today, judging by this page from Bernard-Hewitt. 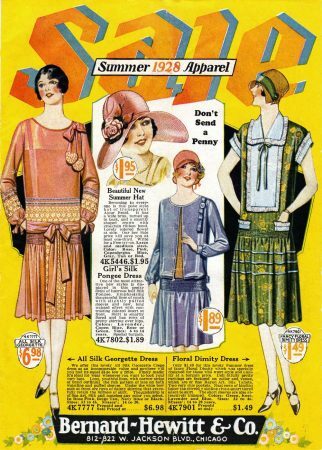 The 1920's equivalent to the dollar store was the “five and dime” — including Woolworth's, Ben Franklin's, W.T. Grant, H.L. Green and many others. Bernard-Hewitt was one of the many ubiquitous general merchandise houses which flourished in the first decades of the 20th century. It looks as if they didn't survive the Great Depression. Their catalogs regularly used the phrase “Don't Send a Penny”…and perhaps their customers took that too literally. Previous Previous post: Where are the double-decker buses of yesteryear?